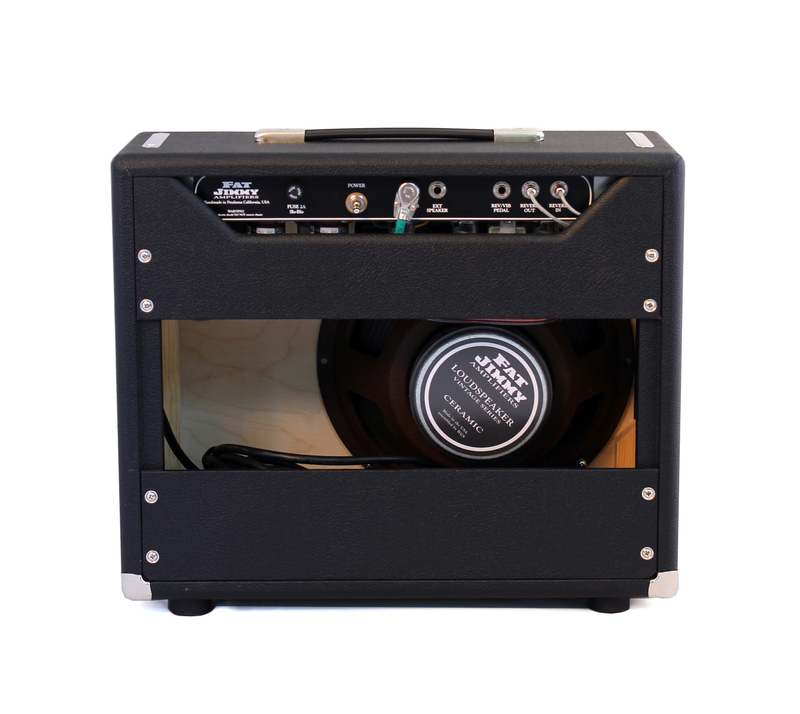 Designed for mobility with the gigging musician in mind, the Fat Jimmy Gigmaster is the ultimate “grab & go” combo amplifier! 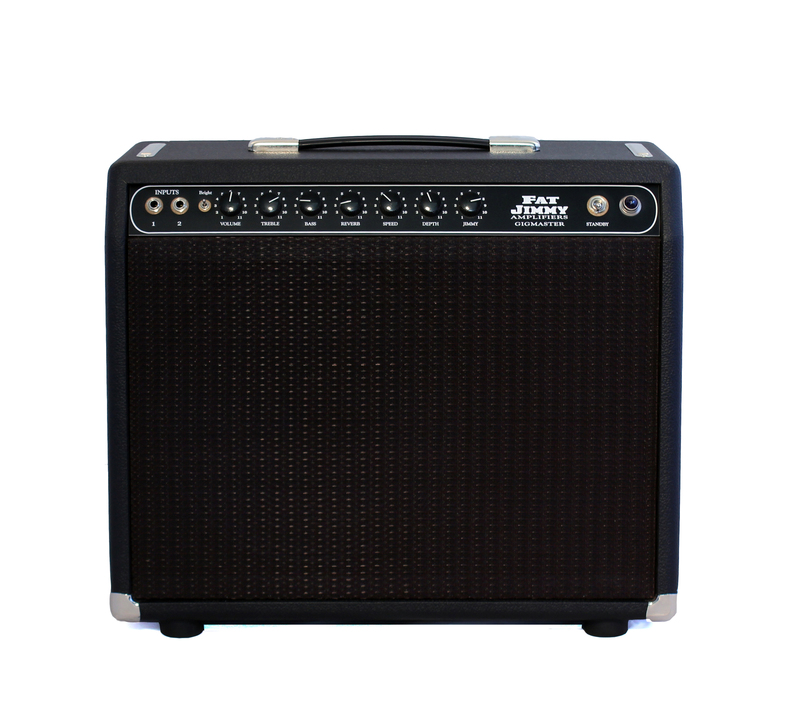 A single channel amplifier with one Fat Jimmy Vintage Series C1270 12” speaker, the Gigmaster can easily hold it’s own on any stage. The 35w version uses 2 x 6L6 power tubes to bring us into the ‘Super Reverb’ arena power wise. All in a combo cabinet the size of a Princeton Reverb! The Gigmaster is one of Fat Jimmy’s signature circuits, which can be said to be a mix between the classic brownface and blackface circuits in tone, response, and performance. Very rich and musical “open” 3D feel with a beautiful chime and remarkably smooth clean tones. This circuit is extremely touch sensitive and responsive to the subtle dynamic nuances of your playing. Captures that ‘Honey Drip’ feel that is often elusive and difficult to achieve in amplifiers over 12w. The Gigmaster features a bright switch, which we find very handy! Our bright switch is much more subtle than most, which makes it remarkably versatile and a very welcome feature. 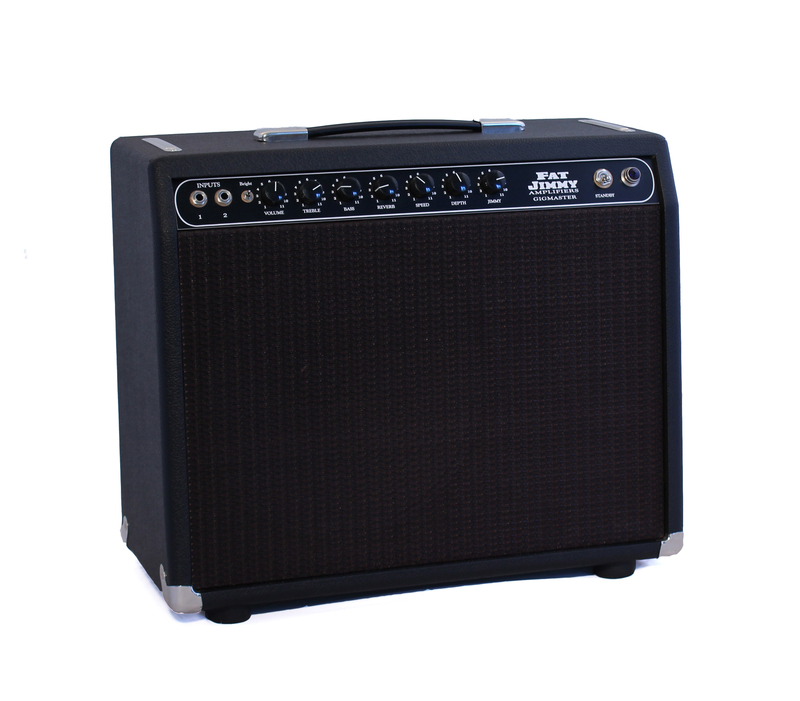 Other features include classic tube driven spring reverb and bias modulating tremolo. Our bias modulating tremolo has a very rich, organic feel. Like all Fat Jimmy amplifiers, we use a combination of NOS, vintage, and modern components to give you the best possible tone and performance!